Below is a chart we have been working on for the last couple of days. 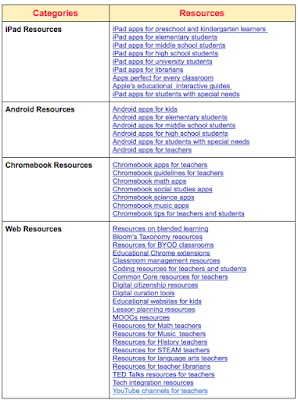 It features a number of key resources to try out in this new school year. 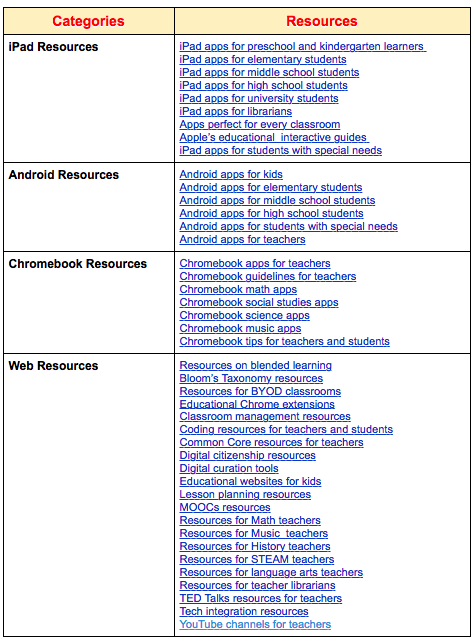 We arranged these resources into four main categories: iPad resources, Android resources, Chromebook resources, and Web resources. The purpose is to help you make the best of educational technology in your reaching. Check out the chart and share with us your feedback.